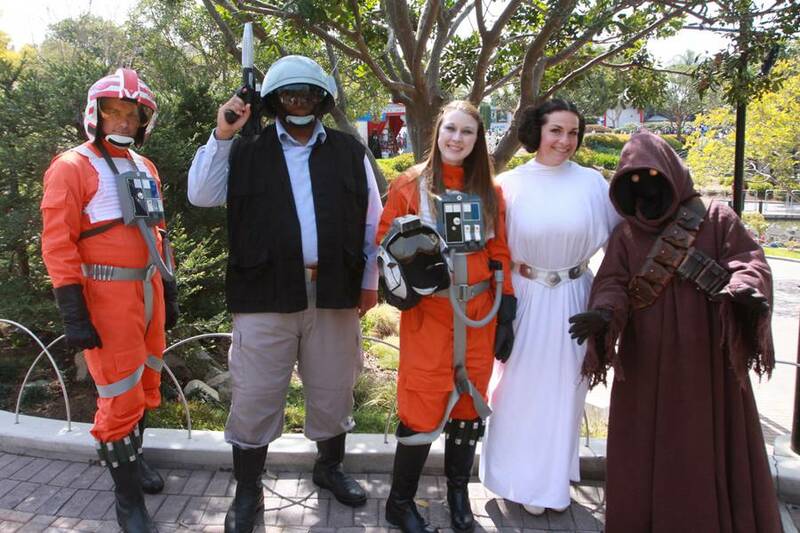 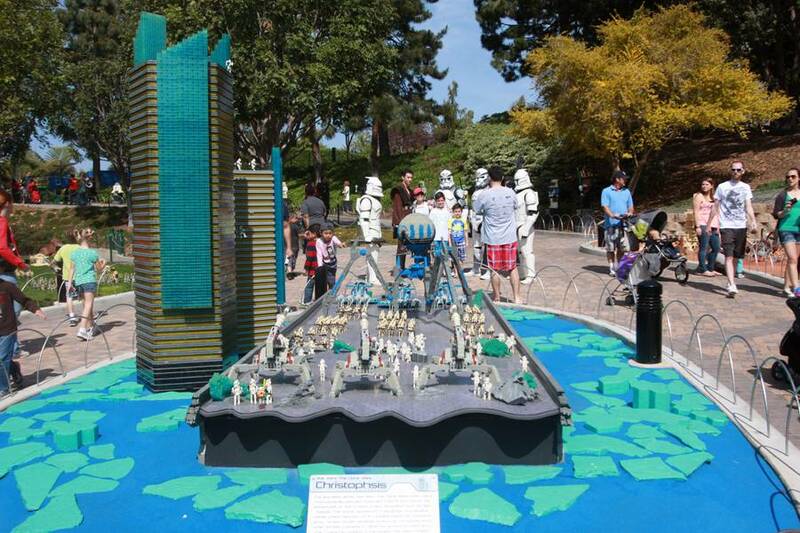 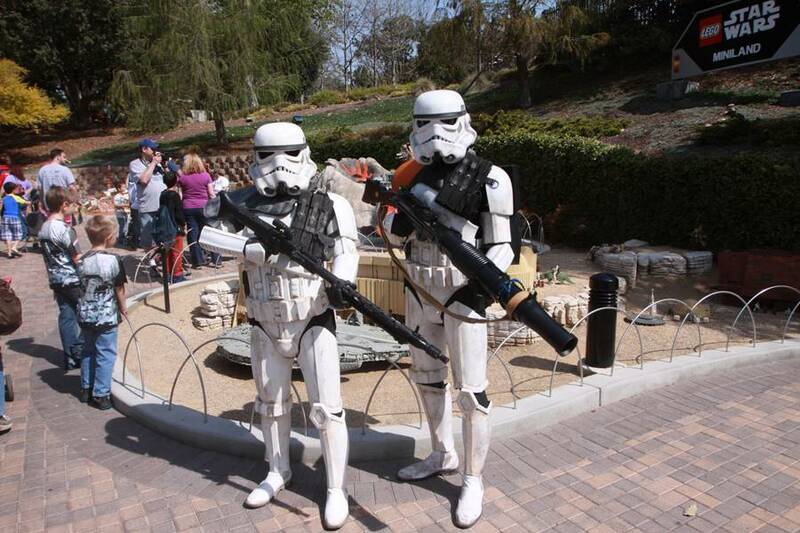 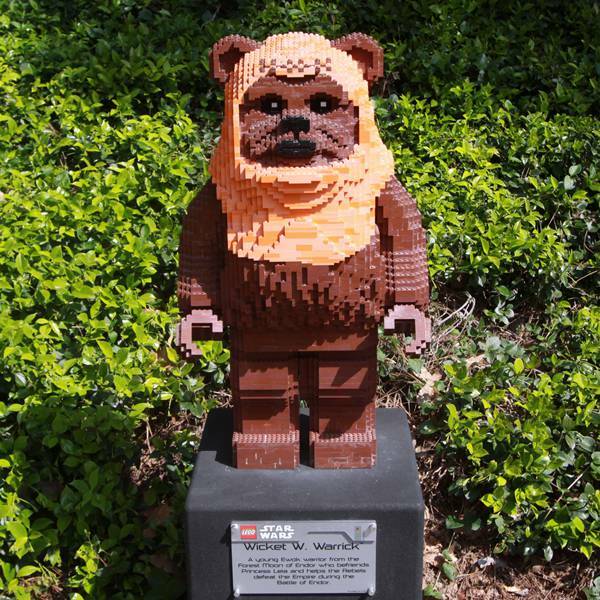 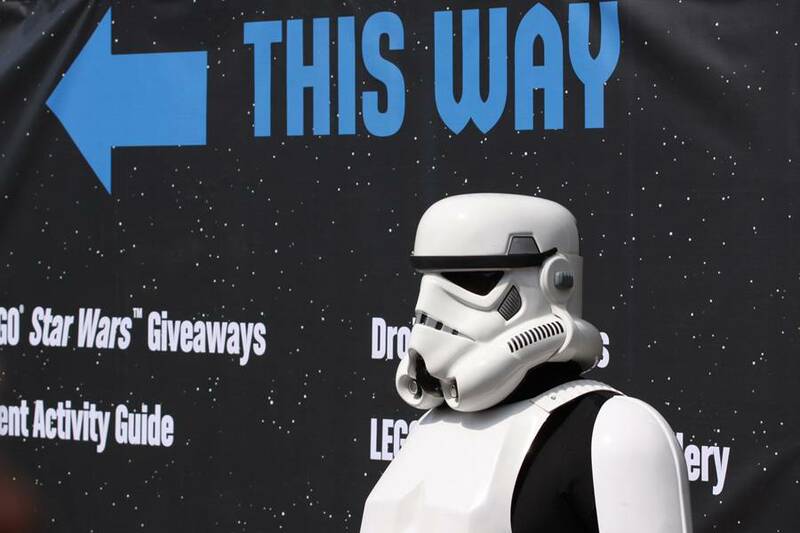 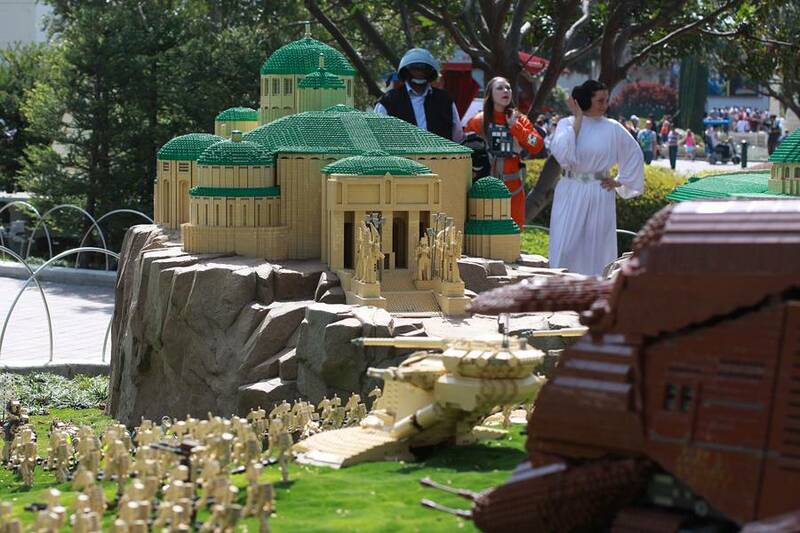 This past weekend the Lego Star Wars Days returned to LEGOLAND CALIFORNIA where the Force was in, well… full force. 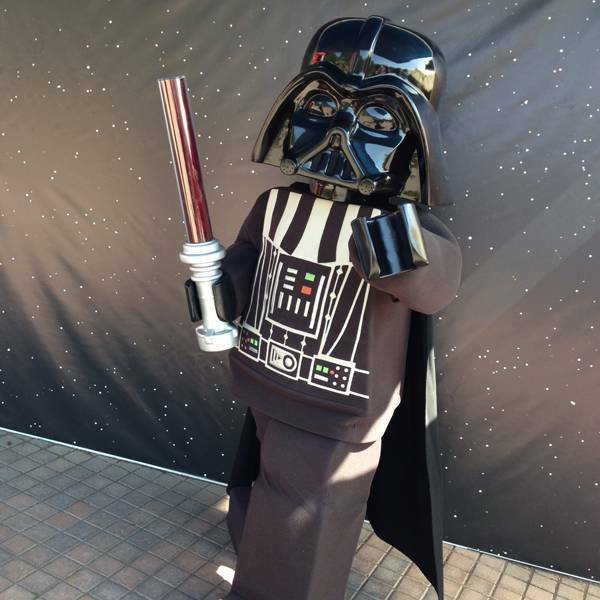 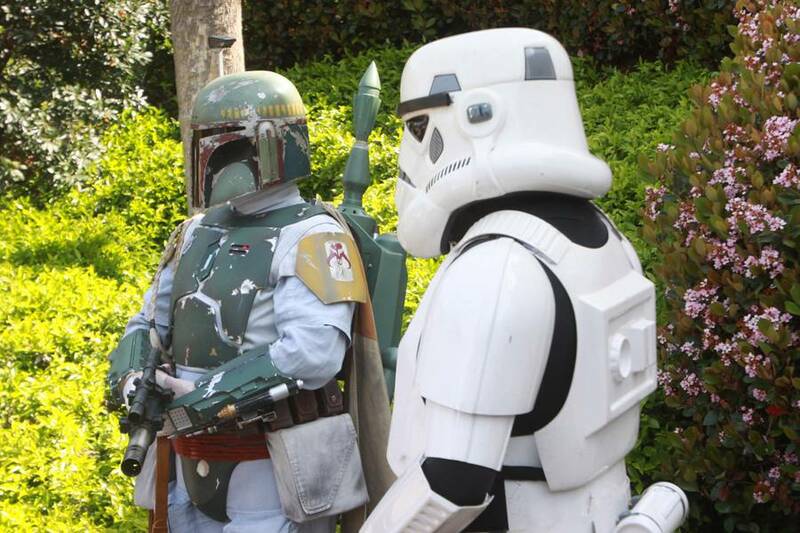 Families were invited to a number of activities as part of their paid admission to LEGOLAND including meet and greets, scavenger hunts, costume contests and much much more. 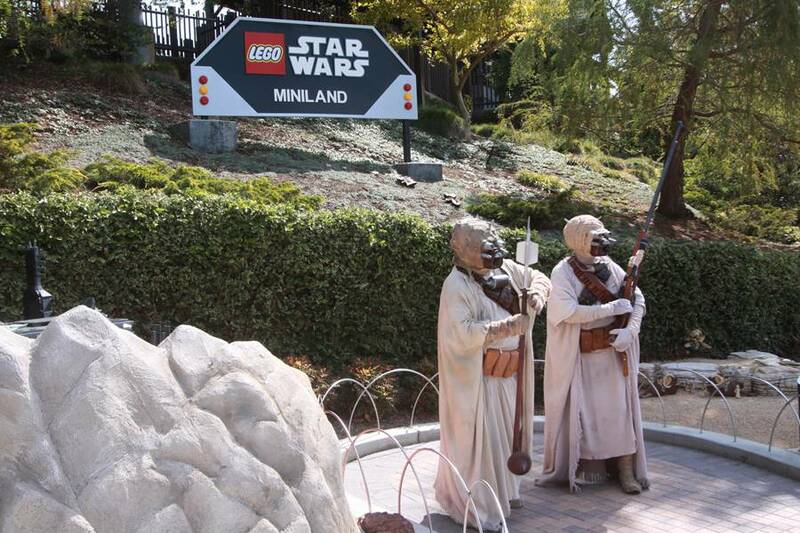 The Star Wars Miniland, already a fun stop and permanent addition to the Miniland was filled with the 501st and Rebel Legion on hand, dressed as your favorite Star Wars characters from across the galaxy for photo opportunities. 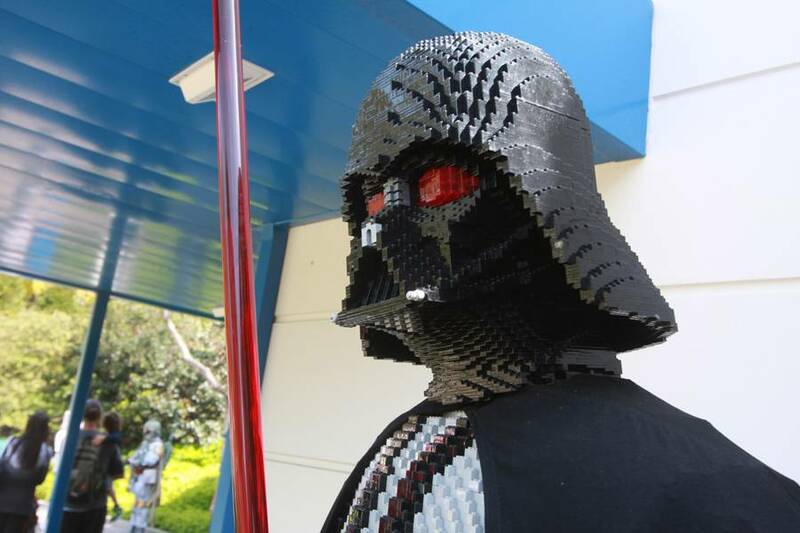 Darth Vader and the LEGO Darth Vader were also available throughout the weekend in addition to Luke’s Landspeeder and R2-D2, along with some furry friends. 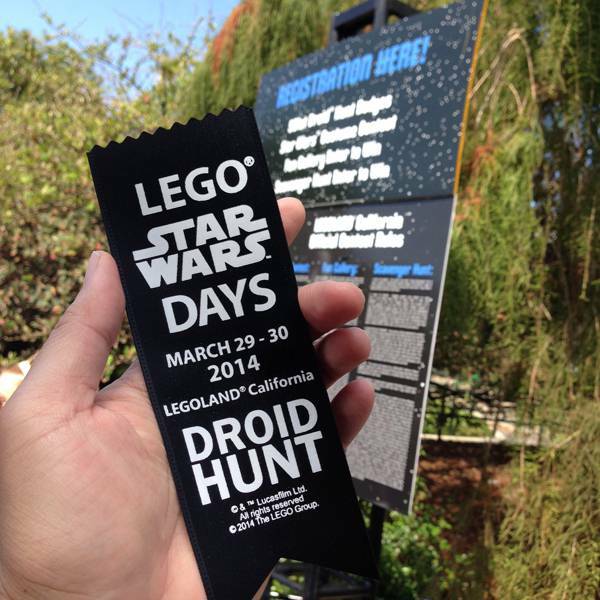 Imperial Forces played along with a “Droid Hunt” and a chance to win a raffle ticket for a prize later in the day. 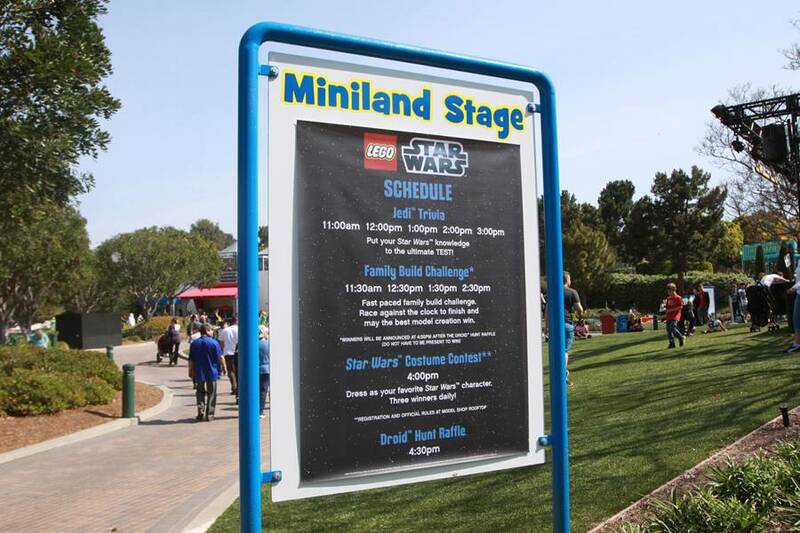 The Miniland Lawn and Stage is where many of the Trivia events took place, where kids could test their Jedi knowledge and win a collectible Minifigure, or try their vocal chords to be the best Chewbacca. 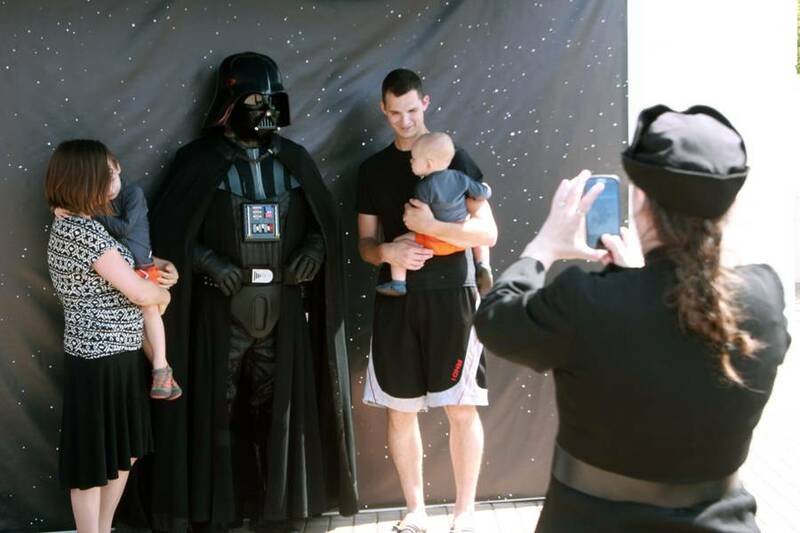 The Star Wars costume contest was also popular with the kids and three winners daily would win a special prize package. 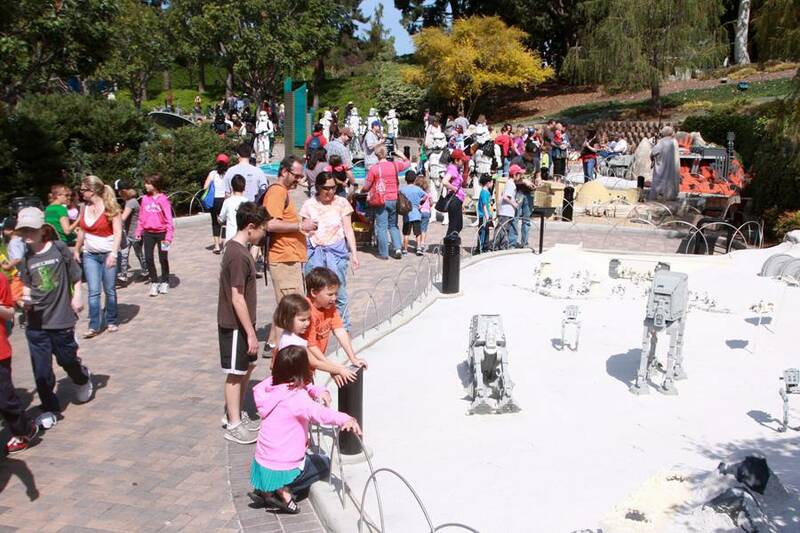 The Miniland Scavenger Hunt gave families an opportunity to scour the Star Wars Miniland for clues. 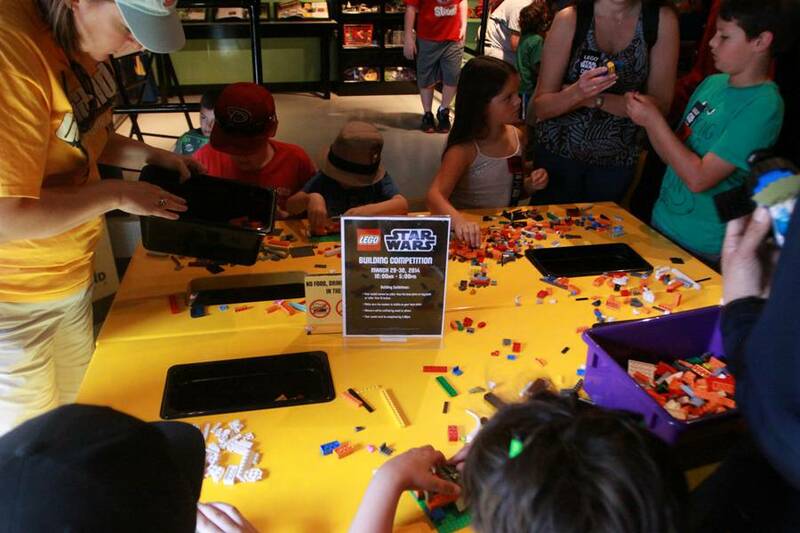 Answering the questions correctly could possibly win you a Lego prize! 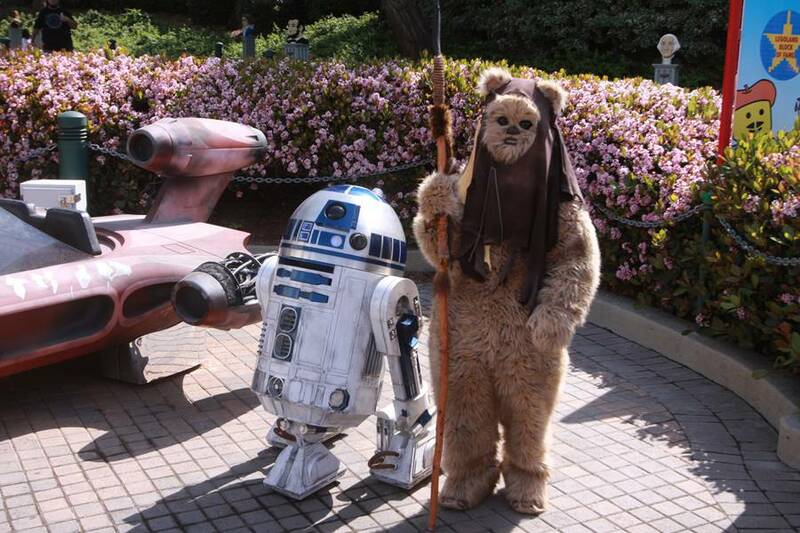 Who’s the droid standing next to R2-D2? 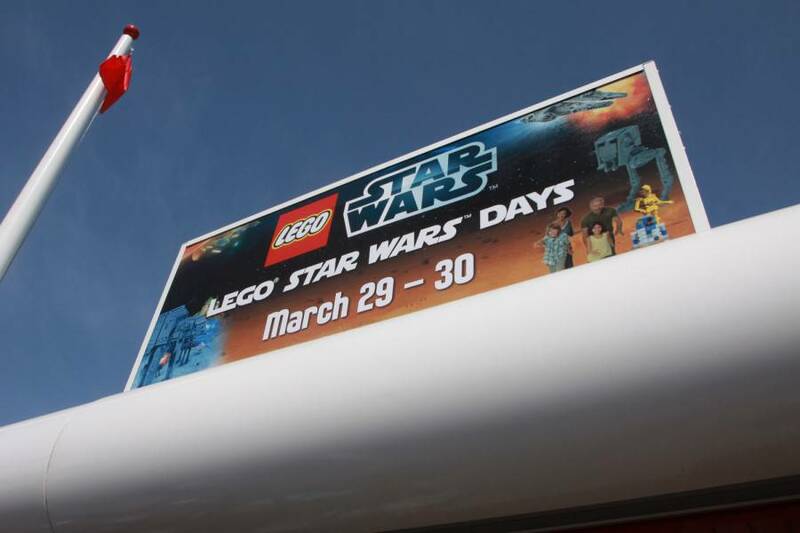 What color Lightsaber is featured the most? 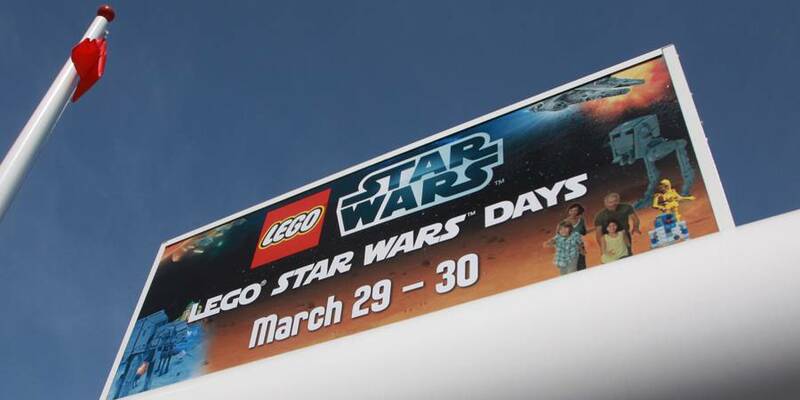 Only eagle-eyed fans would be able to decipher the message. 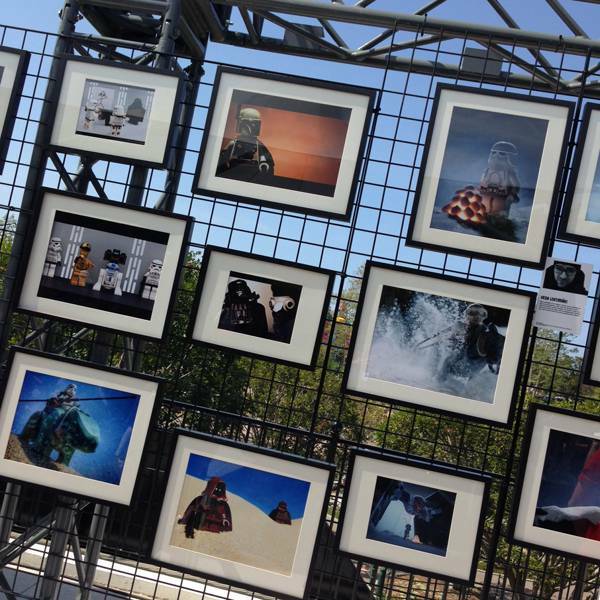 The LEGO Star Wars Fan Gallery was an impressive display of photography and models built using LEGO bricks. 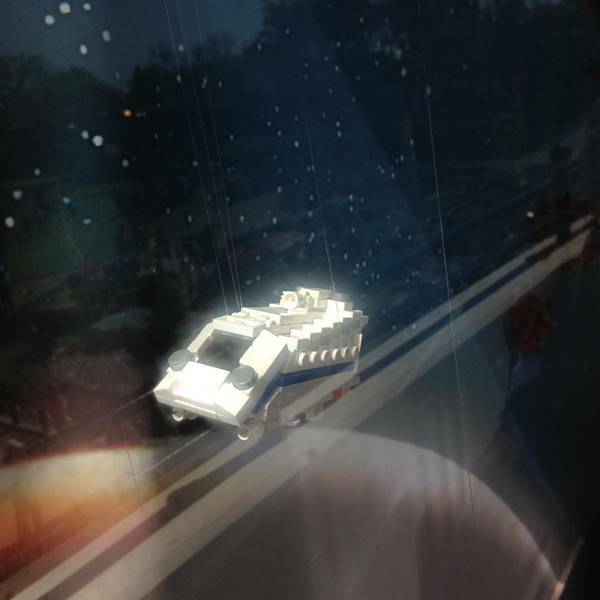 There was a wonderful custom Star Tours LEGO that we will feature later. 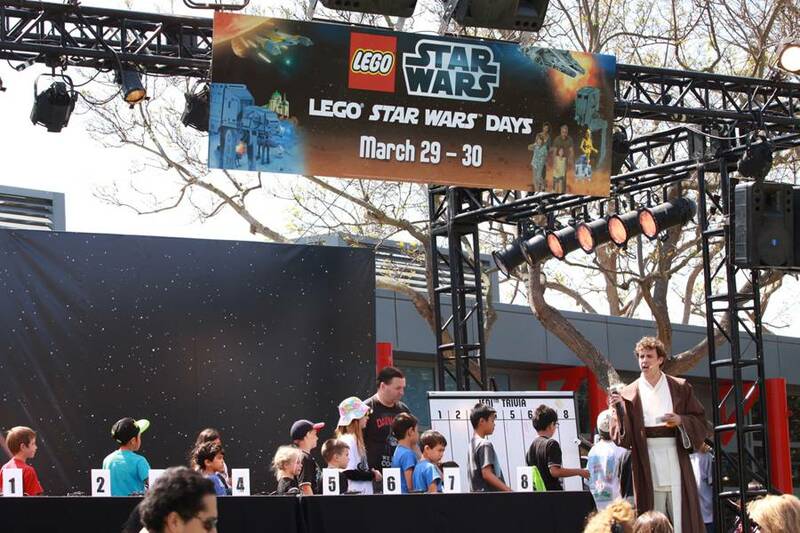 Over in the LEGO Show Place Theater, LEGO Star Wars: The Yoda Chronicles played on a daily basis and families could test their skill at the LEGO Star Wars Building Competition held at the LEGO Club House. 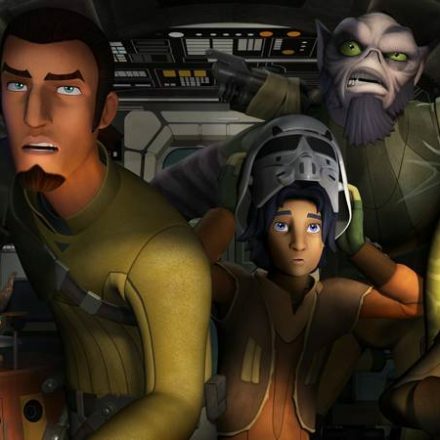 This animated show runs 22 minutes and features Yoda, C-3PO, General Grievous in a wild goose chase that the kids will enjoy (it definitely skews to a younger audience). 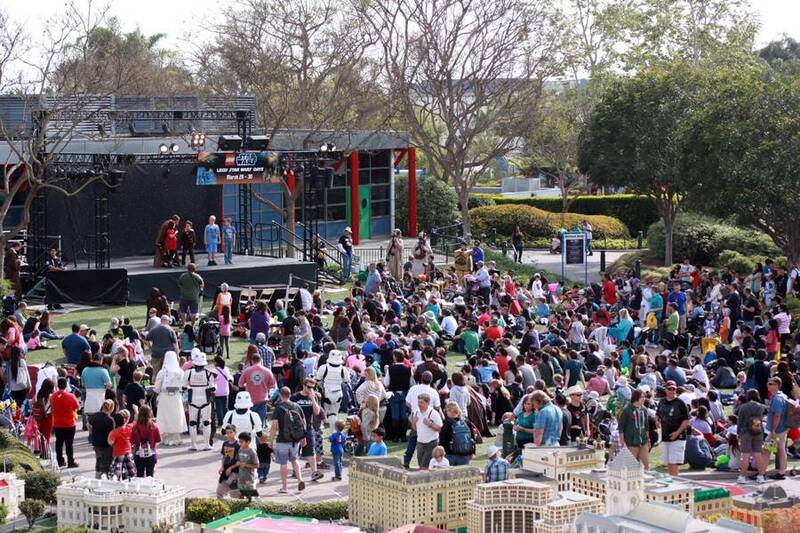 Judging from the crowds of people at the Miniland lawn, LEGO Star Wars Days was a success, so you can count on it returning again. 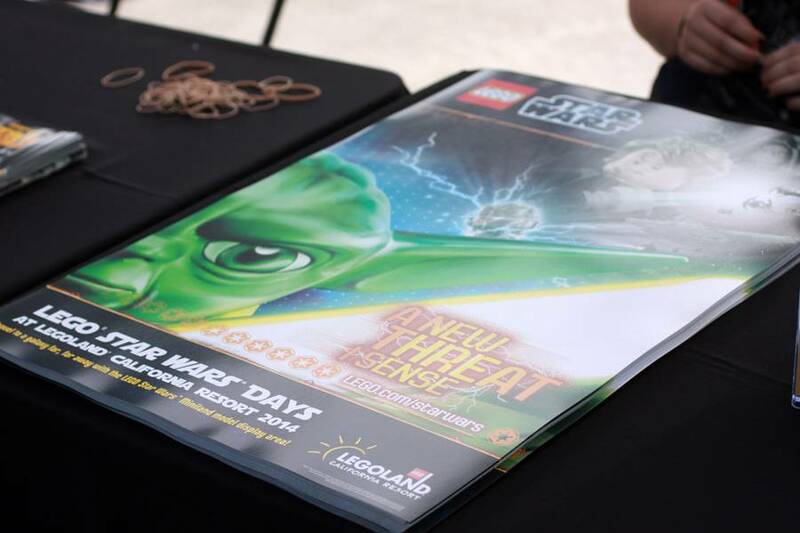 It certainly makes the entire day a lot more enjoyable and don’t forget your free poster! 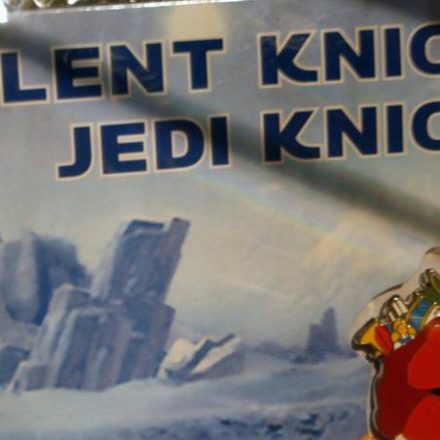 There’s a few new Star Wars pins available now at the Disney Parks celebrating the Holiday Spirit… of the Force! 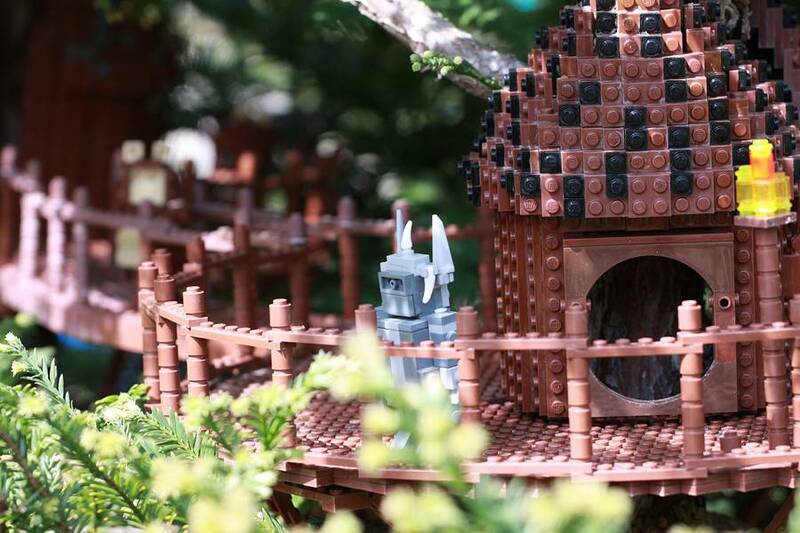 Hello, Endor Express! 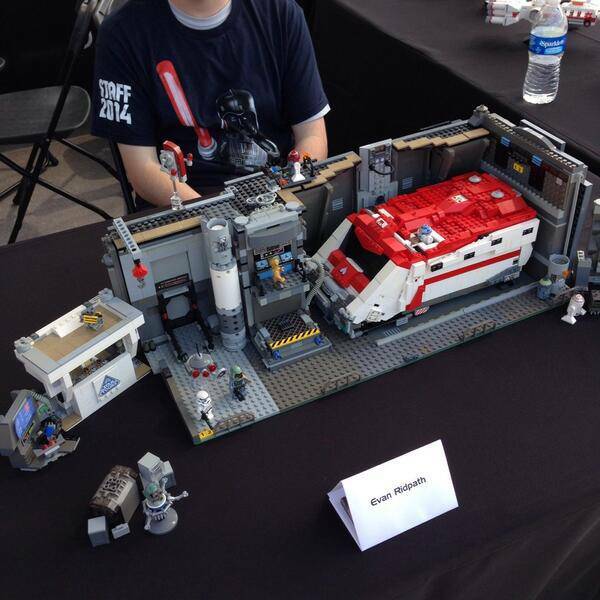 I am the creator of the LEGO Star Tours MOC as seen at Star Wars Days 2014! 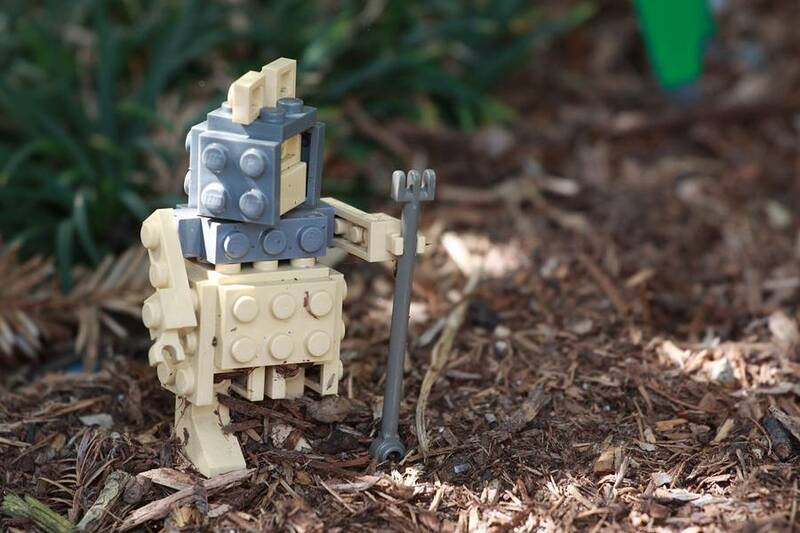 Thank you for sharing my work on your site! 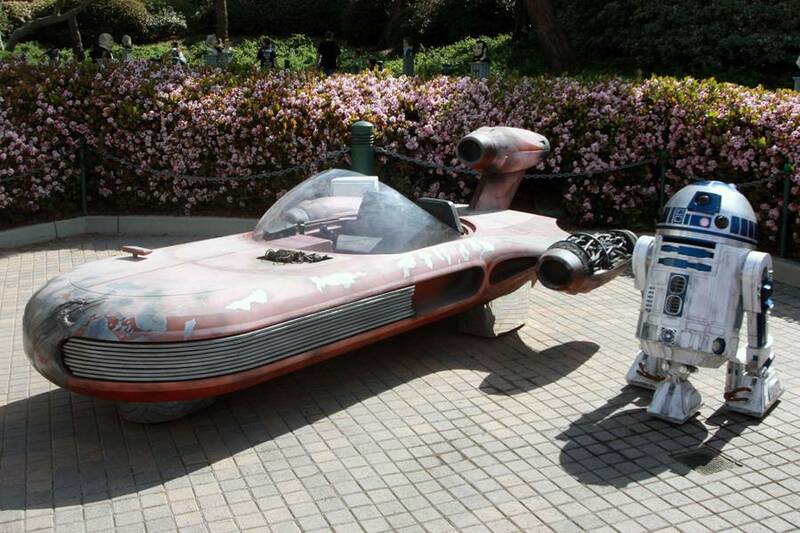 I am a huge fan!